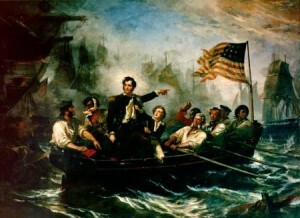 In 1813 young naval commander Oliver Hazard Perry led the warship Niagara to victory over the British in the Battle of Lake Erie. It forced the British to abandon Detroit and secured American control of the Great Lakes. Today Lake Erie remains a battleground for water conflicts. This time it’s a fight to preserve its waters. And not everyone agrees on how. Ohio is the last state to hammer out a water protection program that the 2008 Great Lakes Compact requires to be fully implemented by 2013. And it offers the least protection of any of the compact’s eight states. Critics say the state’s lawmakers failed to demonstrate with their high thresholds for triggering permits that Ohio’s water resources are not inexhaustible. “I don’t think they care,” said Jim Olson, chairman of Flow for Water, a Traverse City, Mich.-based coalition to protect the Great Lakes. The Ohio Legislature approved its permitting rules in late June; Gov. John Kasich has until the end of this week to sign off. The rules would allow users to tap 5 millions gallons of Lake Erie per day before requiring a state permit. Ohio’s groundwater and sensitive streams have lower thresholds at 2 million and 300,000 gallons per day. In contrast, most states start regulating Great Lakes basin water uses at 100,000 gallons per day; Minnesota’s strict regulatory limits are 500 times lower than Ohio’s new rules. Supporters hope less restrictive water rules will attract people and business to northern Ohio. – Nearly half needed it for irrigation, a quarter for public consumption and 15 percent for manufacturing. – Ten power plants withdraw 83 percent of all water in the state. About 15 percent of water-reliant businesses would have to seek state approval to newly tap Lake Erie waters under Ohio’s new rules, according to the data. Most businesses would be off the hook unless they drew water from groundwater or streams, which have stricter limits. Ohio isn’t the only Great Lakes state that sees water as a way to revitalize its rusty business sector. A new water discount program in Milwaukee, Wis. affords businesses a rate cut of 50 percent if they can bring 25 jobs to the area. But critics like Andy Buchsbaum, executive director for the National Wildlife Federation’s Great Lakes Regional Center, warn against declaring “open season on Great Lakes water” to attract businesses. Ohio’s new rules target water wasters, not sustainable water users, he wrote in a recent Detroit Free Press column. Many critics have spoken out since legislators proposed rules earlier this spring, including Republican former Ohio Gov. Bob Taft, who was in office when states approved the compact. The mentality that no other states can use Ohio water, but it can use as much as it wants will hurt the state in the long run, said Kristy Meyer, agricultural and clean water programs director for the Ohio Environmental Council. The rules could open Ohio up to lawsuit and threaten water-reliant industries, Meyer said. The compact requires states to manage new or increased water withdrawals within the Great Lakes basin. They can set up their own permitting thresholds, but they must do so through a “considered process” and keep in mind “impacts to the physical, chemical, and biological integrity” of the watershed. What constitutes a considered process that accounts for those impacts is in dispute. Critics say the Ohio Legislature approved arbitrary thresholds and a regulatory process that fails to account for cumulative impacts of large water withdrawals. Government officials, university experts, environmental advocates and industry supporters who made up Ohio’s Compact Advisory Board couldn’t agree on specific rules last year. Two groups within the board offered two sets of conflicting recommendations. A group called the Coalition for Sustainable Communities comprising environmental-conservation organizations, small businesses, lawyers and scientists called for different limits for different sizes of high quality streams and strict limits for groundwater and Lake Erie consistent with the board’s 2010 report. The Coalition for Sustainable Water Management, made up of Ohio industries and businesses, opposed the approach and instead pushed for the more generous thresholds that passed. The legislature even bumped up the regulation threshold for groundwater from 1 million to 2 million gallons per day. The limits are stricter only for high-quality streams at 300,000 gallons per day; all other streams have limits of 1 million gallons. Under the compact, states cannot issue a water permit if the use harms the Great Lakes watershed. 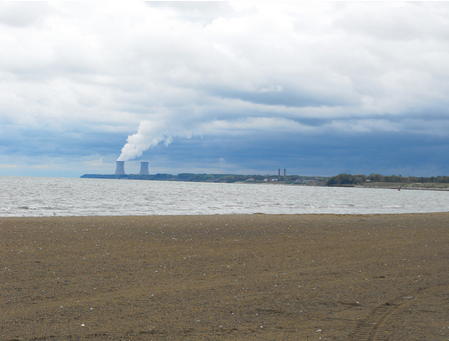 Ohio’s new rules only consider impacts to Lake Erie. Critics say new rules should protect all of the state’s water bodies. High regulatory thresholds could open the door for negative impacts to rivers and streams with as little as one or two withdrawals, said Sara Gosman, a National Wildlife Federation attorney and water policy expert. Not all lawmakers agree on the scope of the compact. Anyone trying to make the compact about smaller streams is changing the compact, said Sen. Timothy Grendell, who co-authored the report. The high regulatory limits don’t protect against cumulative impacts, critics say. The compact requires states to conduct “periodic assessments” of cumulative impacts every five years; other states can also request assessments. Ohio’s new rules call for five-year assessments. But with regulatory limits higher than any other state, critics are worried about the “death by a thousand straws” effect and the department’s lack of power to intervene. More frequent assessments are needed to fully protect water sources, they say. The compact requires science to be used to establish regulatory and conservation programs. Not everyone agrees on how to implement scientific principles to protect the state’s water resources. Determining the best way to evaluate impacts of water withdrawals is a learning process, said Tom Lozier, chief of the Division of Soil and Water Resources of the Ohio Department of Natural Resources. Anything less than 90 million gallons per day from Lake Erie and 45 million gallons per day from groundwater is presumed to be safe, according to Ohio’s new rules. These figures are based on average annual runoff to the basin. Ohio is currently working on a way of determining if additional amounts could be harmful. Other Great Lakes states aren’t clear on how they’ll judge the impact of a withdrawal. 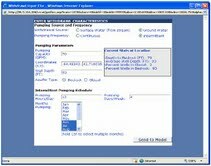 Michigan’s water permitting tool assess the environmental impact of water withdrawals in real time. Michigan has the assessment tool that weeds out water requests that would harm fish biodiversity. Ohio’s Compact Advisory Board members discussed using it but couldn’t agree. “From our perspective this is a tool that could be very helpful to assess impacts,” Gosman said. The new rules have stirred a lot of debate, but they provide a foundation to build on, said Lozier, who looks forward to seeing what other states have to say about Ohio’s rules and ways to improve them during the compact’s review process. Ohio’s lack of concern could impact whether or not states grant water diversion exemptions to straddling communities, Gosman said. “It sends a message it’s not serious about its compliance with the compact requirements,” she said. If any part of Ohio’s water regulation program disagrees with compact provisions, here’s what could happen: the compact’s authority could recommend changes or any other Great Lakes state could sue Ohio into compliance. The compact’s authority – the Great Lakes-St. Lawrence Water Resources Council – meets twice a year and reviews the progress. It has not issued a statement regarding Ohio’s new rules, said Peter Johnson, deputy director of the Council of Governors, which serves as secretary to the council. The compact council or any one of the other states could sue Ohio if they think it’s out of compliance by the 2013 implementation deadline. The council can also diplomatically make recommendations. If Ohio did not have thresholds in place by 2018 – 10 years after the compact was signed – then the 100,000 gallons of water per day would automatically become the state’s permitting thresholds, according to the compact. Despite limited oversight and lack of resources, Gosman feels the compact council should step up and force Ohio to reevaluate its water rules. “And if it finds it’s not in compliance, it should initiate legal action,” she said. Editor’s note: The Natural Resources Defense Council recently reported Great Lakes states to be behind on important water protection deadlines. Read their report here. The National Wildlife Federation is to release a report Tuesday that also examines the “Good, the Bad and the Ugly” of states’ progress.